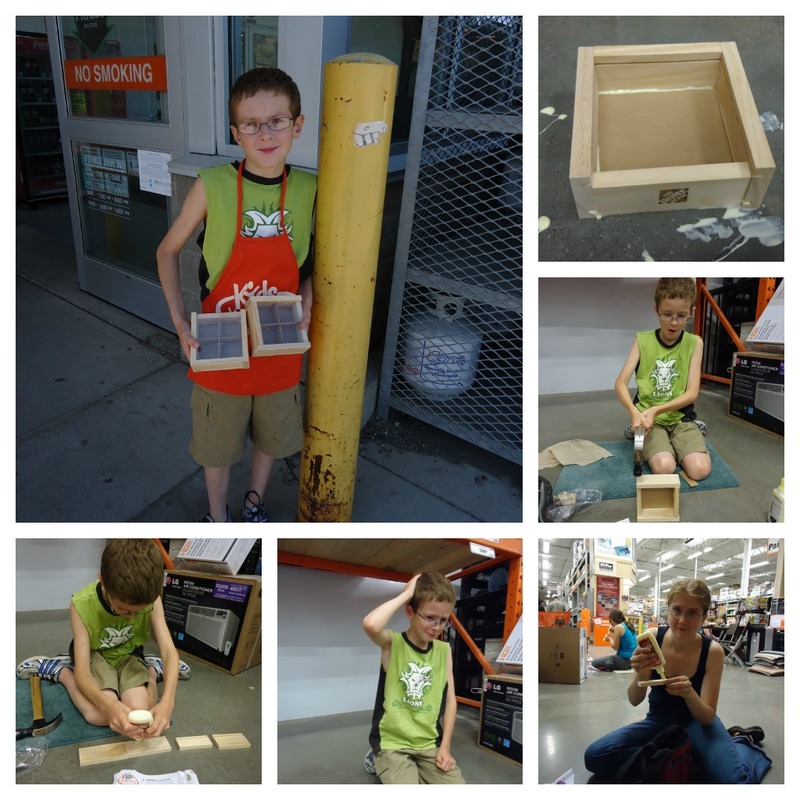 On one of my recent WW posts I showed my Brave Mom photo of our trip to Home Depot for one of the Kid's Workshops. 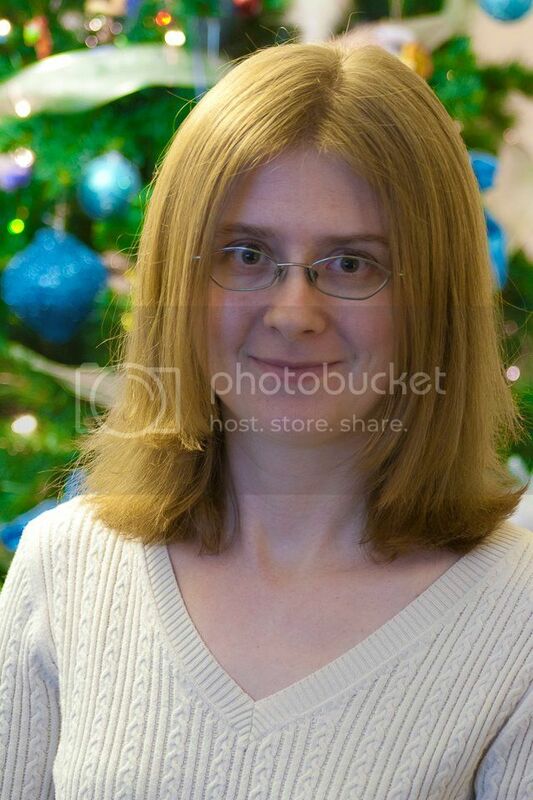 As promised here are the rest of the photos from that day. Despite backing into the shelf and banging his head we had a great time hanging out, having lunch and even sneaking in some shoppping afterwards for a new life jacket for Nathan. 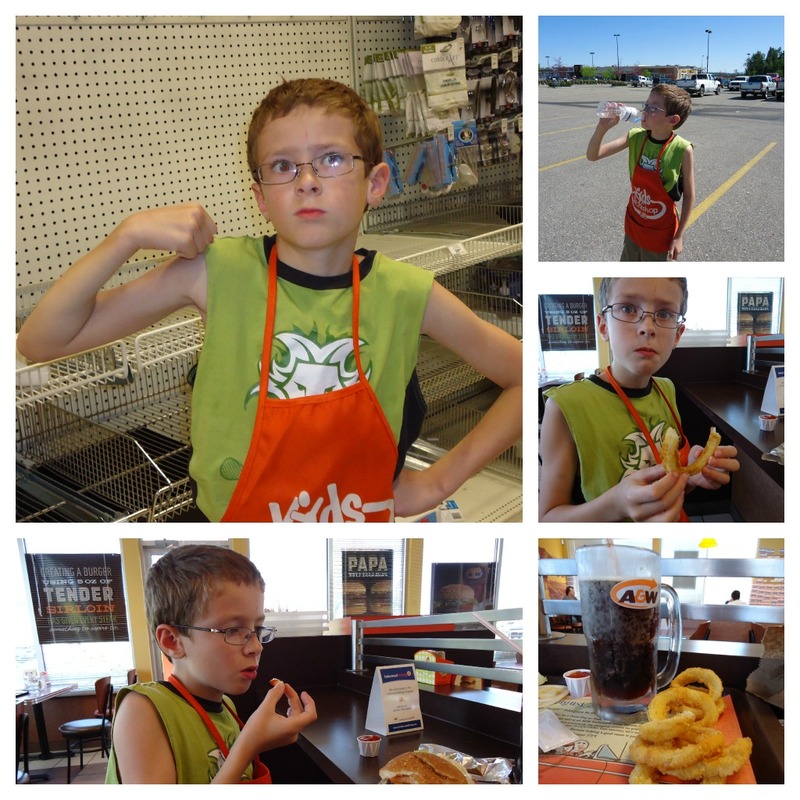 I love the pictures of him showing off his muscles while we were shopping! And making an extra storage box for his sister was a nice surprise (he even painted them when we got home). 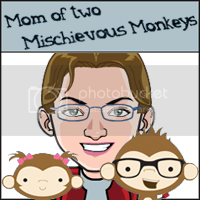 Please link up below, I love to check out other WW posts, consider leaving a comment too! You captured some great memories that day! looks like a fun way to learn!! Sounds like a great day and I love all the photos! One on one time is so special, you've made some great memories!